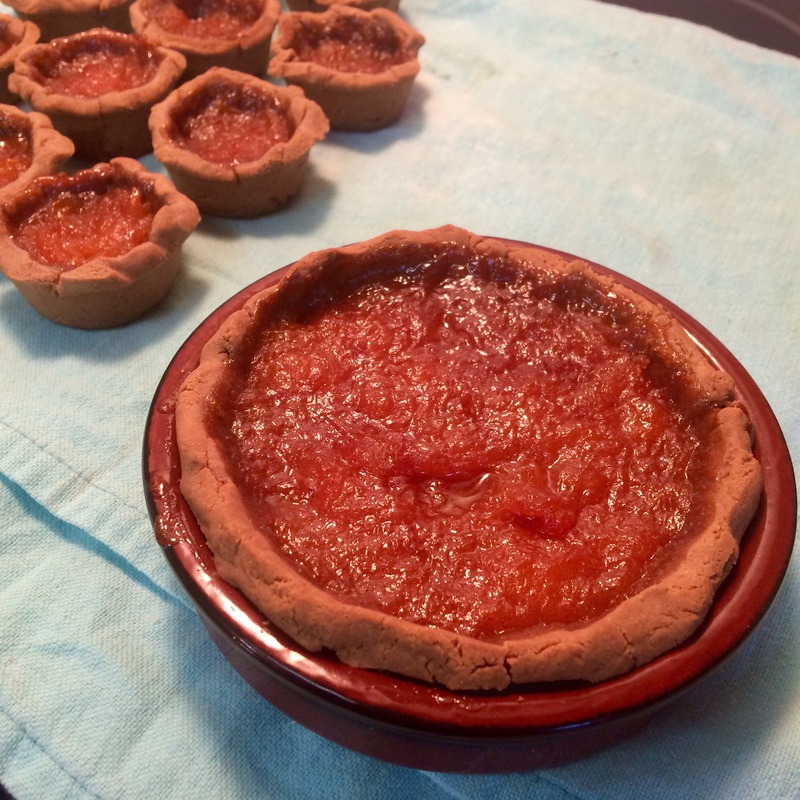 I made some tiny peach tarts using a recipe from Good Housewife’s Jewell, and made half of them gluten free. This crust was very easy and handled incredibly well, for both the small (in a ramekin) and mini (in a mini muffin tin) versions. Combine the butter and boiling water (I used a kettle to heat it — you can also use more water and heat the butter and water together) until the butter is fully melted. A glass measuring cup is ideal. Add butter-water mixture to dry ingredients and mix vigorously. When cool enough to handle, add the egg and knead until it forms a smooth dough. If you can’t find chestnut flour locally, I order mine from nuts.com.